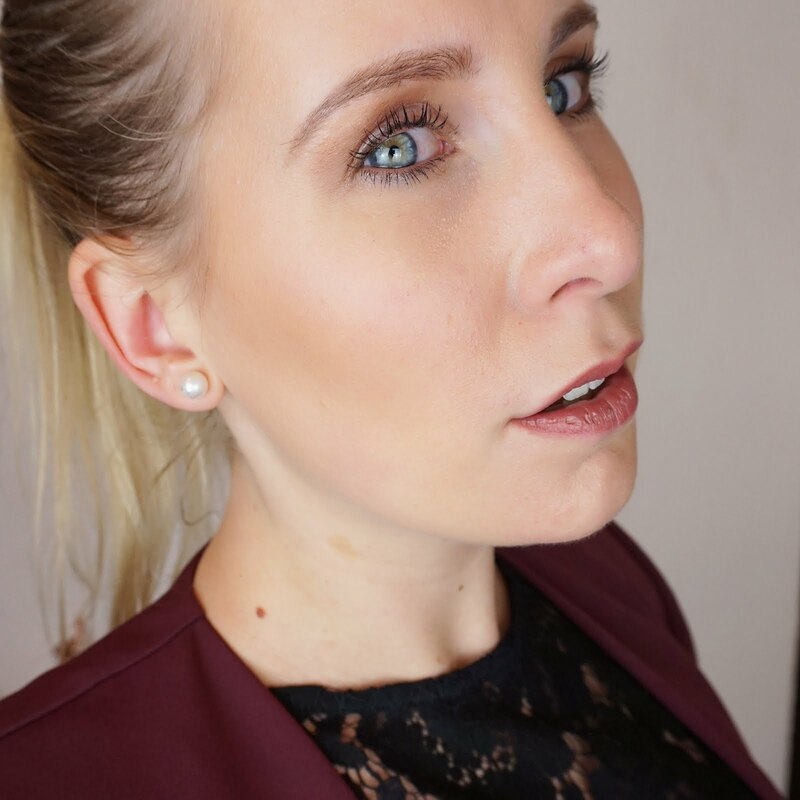 "Simple Solutions for Beautiful Skin"
with a less is more approach with founder Sonia Deasy's aim to deliver a simple, effective skincare routine. This sounds perfect to me, because with a full-time job, blog and baby on the way, time is something I do not have in the morning. And being in my thirties means that a good skincare routine has become massively important, with anti-ageing really being a thing right now. I have combination skin and this means I tend to go for lightweight, gel-based moisturisers over heavier, creamy ones as they tend to feel to heavy and greasy on my skin, leaving a film especially during the hot weather we have experienced in the UK this summer. 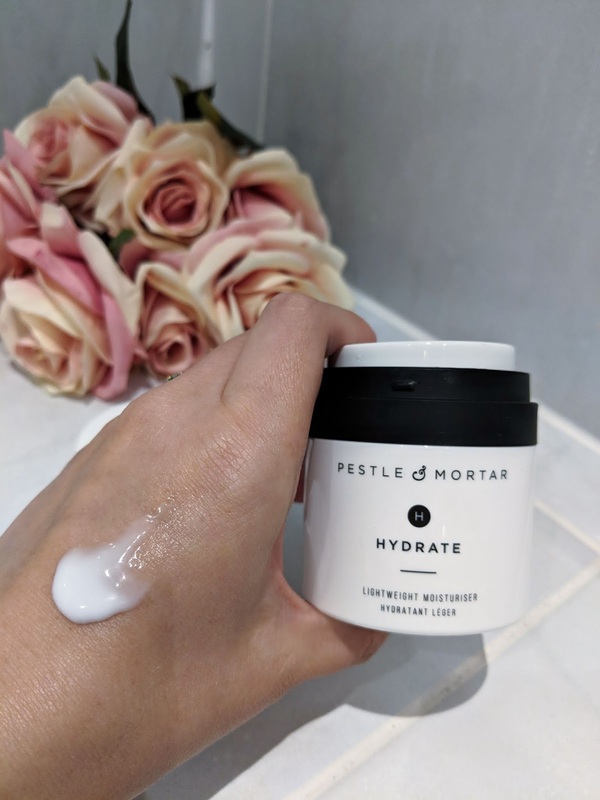 Pestle & Mortar completely fulfil my wishes with their Hydrate Moisturiser (£38 per 50ml). It's a lightweight anti-ageing moisturiser that claims to reduce the appearance of fine lines and wrinkles through a mix of peptides, whilst stimulating the production of collagen and restoring firmness and skin elasticity. The cream contains jojoba and squalane which make the skin feel softer and pomegranate, green tea and vitamin E which act as anti-oxidants. Squalane is a chemical that is naturally produced by our body and keeps our skin hydrated, but after the age of 30, the production reduces which results in dry skin. The cream itself is milk-white and has a lovely light, almost gel-like consistency. It comes in an airless container with press-pump system to ensure the cream stays active which I think is a big plus. The cream applies easily and is quickly absorbed into the skin without leaving that feel of a layer. After using the moisturiser for a month, my skin feels hydrated and plump and I feel that my moisture levels have improved, with my skin feeling less dry. Overall my skin looks very healthy and this moisturiser forms the perfect base under any makeup. 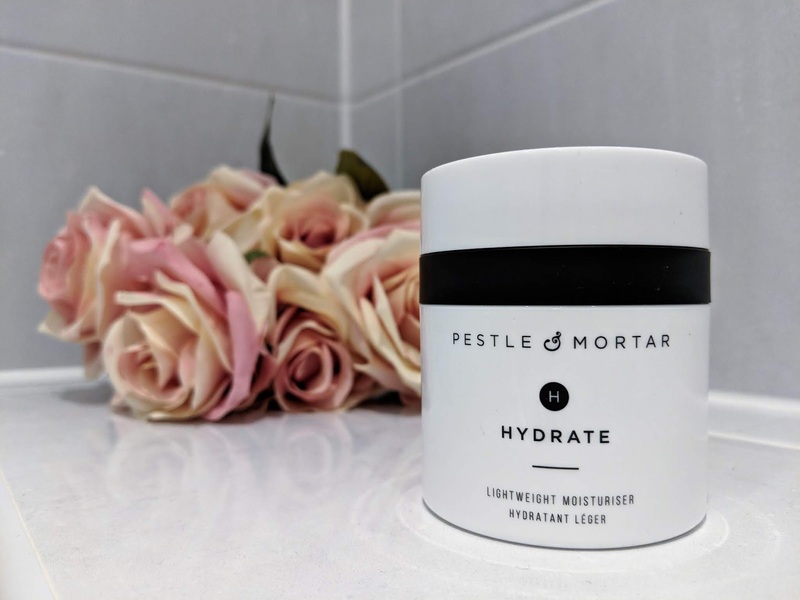 If the ingredients of skincare play a big part for you, you'll be pleased to know that the Pestle & Mortar Hydrate Moisturiser is free from parabens, mineral oil, silicones, sulphates, propylene glycol and synthetic fragrance, and is suited to all skin types. For the skin around the eyes (where for me slowly some wrinkles begin to appear! 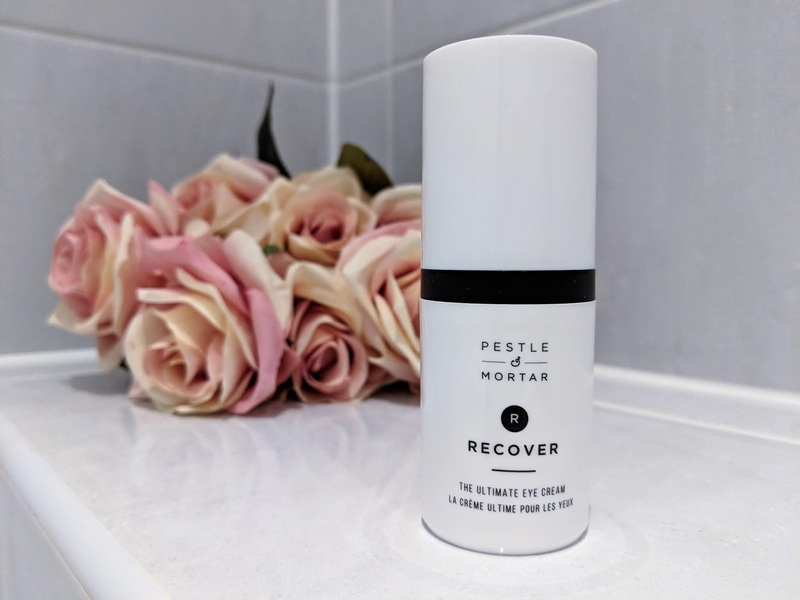 ), Pestle & Mortar have developed the Recover Eye Cream (£35 per 15ml). 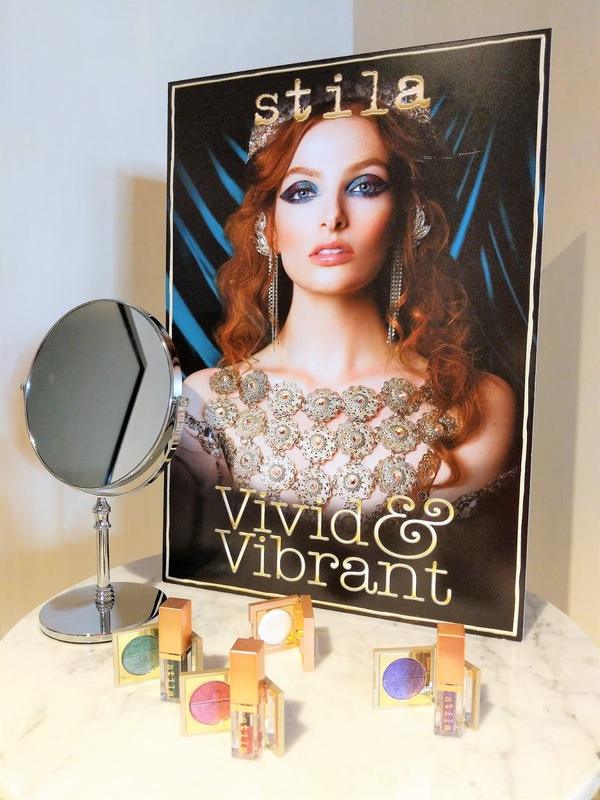 According to the brand, this eye cream is packed with goodness, including Palmitoyl tripeptide-5 which stimulates the production of collagen, Irish moss extract, passionfruit extract, coffee bean extract and beta-carotene. 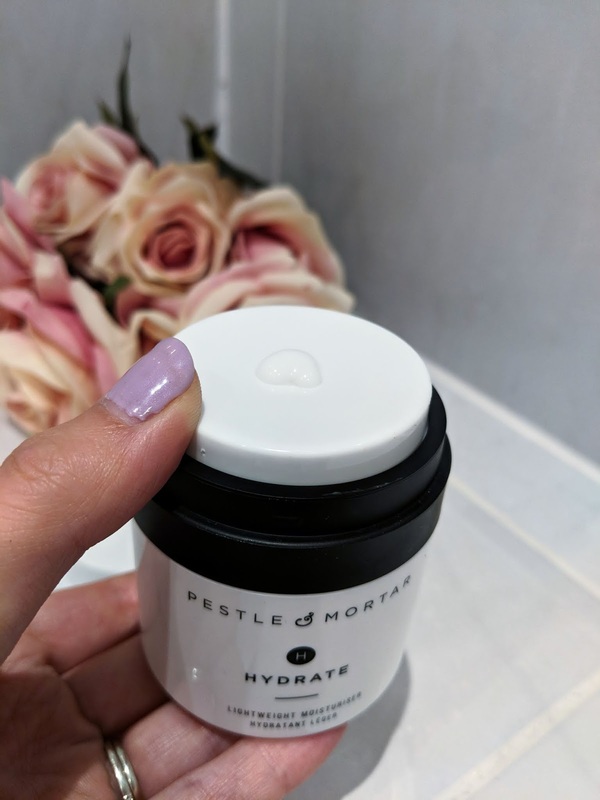 Pestle & Mortar claim this cream hydrates, protects, smooths, soothes and restores the skin around the eye, and battles fine lines, puffiness and dark circles. I must admit they haven't said too much! Again, this cream is lightweight, with the consistency being a little thicker than the moisturiser, but still absorbing into the skin quickly. I am very impressed with this cream, because even after the first application, my eyes and the skin around them felt instantly more awake and hydrated. This cream is perfect as part of your AM routine and gets you ready for a busy day ahead, yet also great for overnight recovery. After using this cream for a month, the skin around my eyes feels hydrated, plump and I can even see my fine lines, puffiness and dark circles are a little reduced. I will definitely continue using this cream and will repurchase in the future. As with the moisturiser, the eye cream is 100% cruelty free and vegan, and free from parabens, propylene glycol and fragrance. 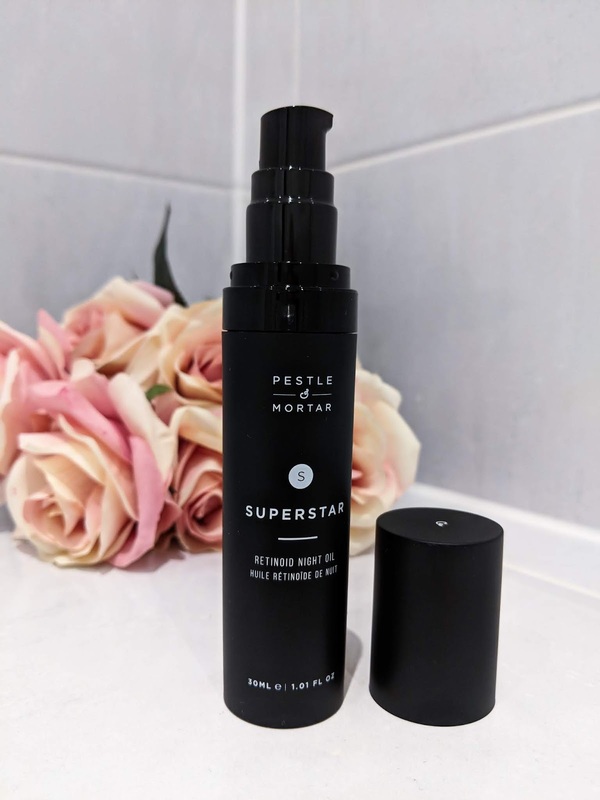 The last item that I will definitely incorporate in my anti-ageing skincare routine, is the Superstar Retinoid Night Oil (£63 per 30ml). I got this cream with all intentions to add it to my routine but shortly before I received it, I found out I was pregnant, so unfortunately I haven't been able to use it yet as it contains vitamin A. I considered not including it in this blog post, but for those of you who are interested, here are a few little facts about the oil. 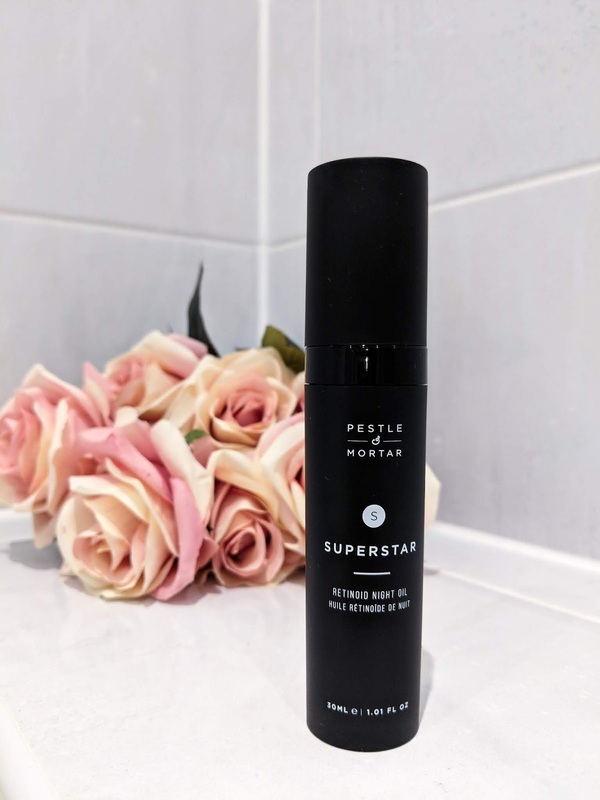 The Superstar Retinoid Night Oil is made with two types of retinol together with cold pressed grape seed oil, and claims to reduce pore size and tightening the skin whilst improving skin elasticity. The oil furthermore contains cold pressed, organic rosehip oil, carrot oil and sunflower oil which are anti-ageing. The oil has a lightweight consistency that is quickly absorbed by the skin and should leave your skin hydrated. 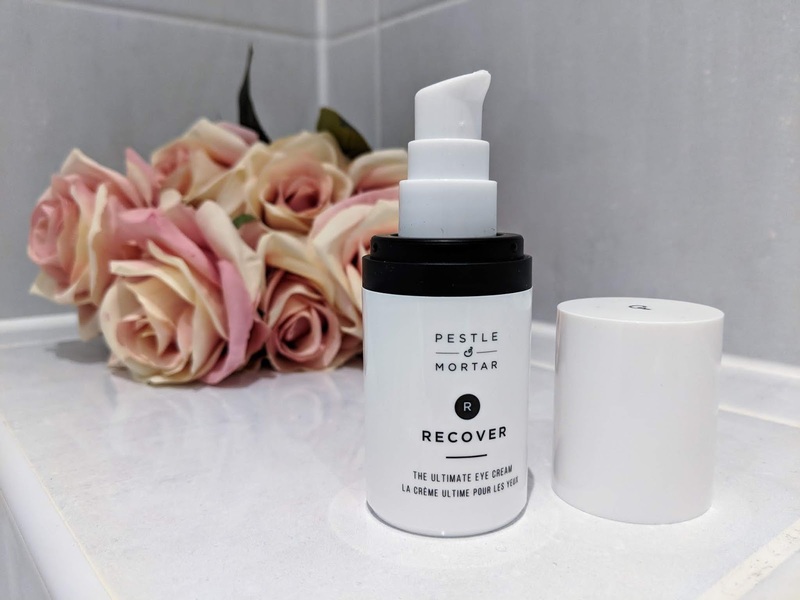 I usually tend to avoid retinol because it is known to dry out the skin, however Pestle & Mortar put that concern to bed by stating the oil is non-irritating, without any peeling dryness or redness. The Superstar Retinoid Night Oil is also 100% cruelty free and vegan, and free from parabens, propylene glycol and fragrance. Looking at how impressed I am with the moisturiser and eye cream, I can't wait to try out the retinoid oil. 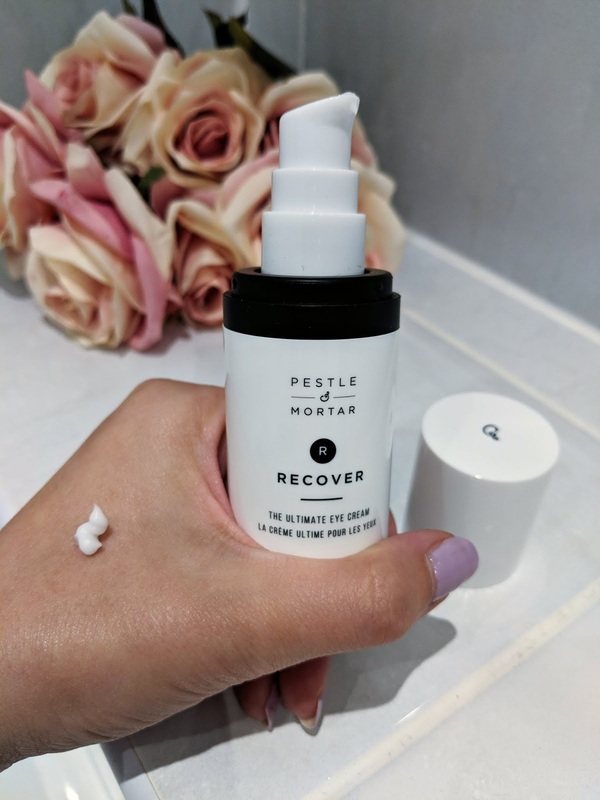 Pestle & Mortar have truly won me over, and so far I would recommend every item I've tried. I have added their items to my daily skincare routine and I don't think they'll be going anywhere soon! 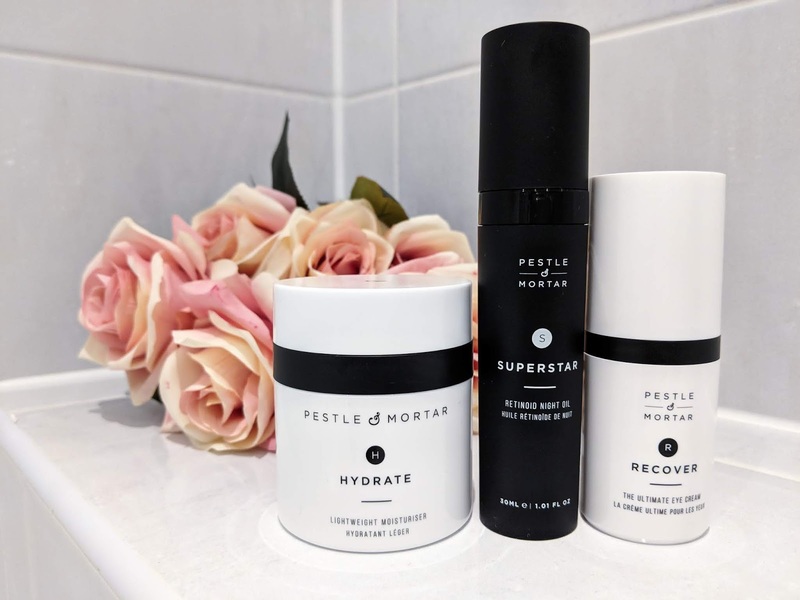 You can find Pestle & Mortar at Harvey Nichols or through the Pestle & Mortar website.